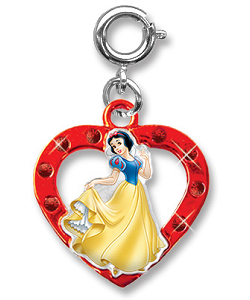 Snow White, from Disney's Snow White and the Seven Dwarfs, is caring and kind and this CHARM IT! 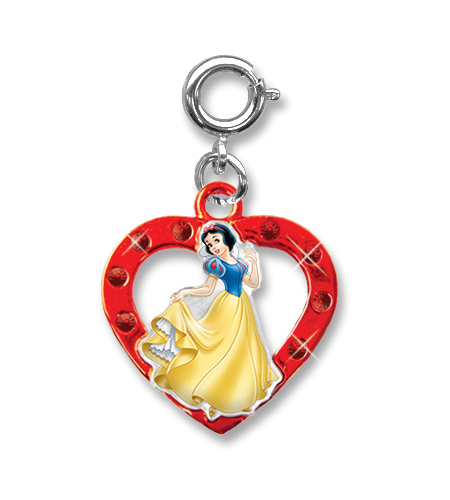 Snow White charm is sure to show this fun Disney spirit in you. Sparkly red acrylic stones around the red heart surround a raised Snow White creating a 3-dimensional effect in this Snow White heart charm. With a simple snap of a clasp, girls can personalize their CHARM IT! jewelry with this CHARM IT! Snow White Heart charm.